Phillipa Ashley writes warm, funny romantic fiction for a variety of world-famous international publishers. After studying English at Oxford, she worked as a copywriter and journalist. Her first novel, Decent Exposure, won the RNA New Writers Award and was made into a TV movie called 12 Men of Christmas starring Kristin Chenoweth and Josh Hopkins. As Pippa Croft, she also wrote the Oxford Blue series - The First Time We Met, The Second Time I Saw You and Third Time Lucky. Phillipa lives in a Staffordshire village and has an engineer husband and scientist daughter who indulge her arty whims. 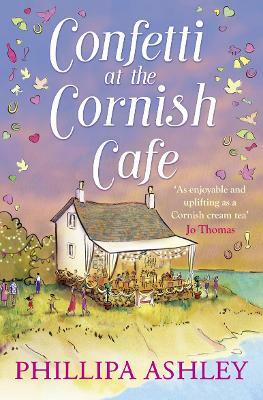 She runs a holiday-let business in the Lake District, but a big part of her heart belongs to Cornwall. She visits the county several times a year for `research purposes', an arduous task that involves sampling cream teas, swimming in wild Cornish coves and following actors around film shoots in a camper van.